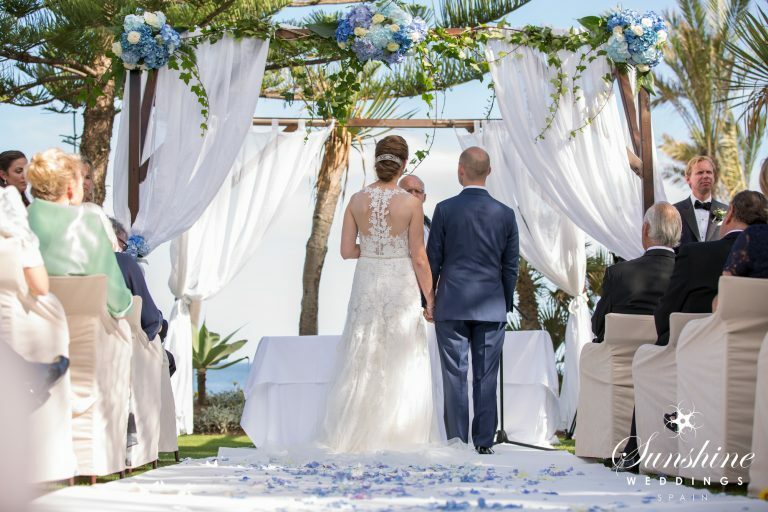 As we reach the mid Summer point for weddings in Spain during 2017, we have taken a rare opportunity to chat with Scott Gibbons who manages the southern Spanish wedding planning team for Sunshine Wedding Spain. The Sunshine Weddings team have enjoyed a total of 52 weddings in just 14 weeks following their first Spanish wedding of the season on the 14th April 2017. 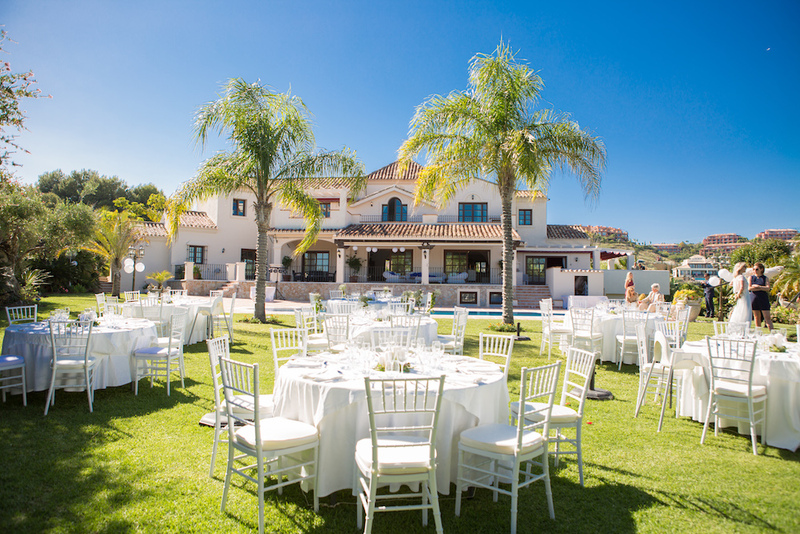 There is a huge demand for destinations weddings and a major advantage factor begins with the glorious sunshine in southern Spain, low wedding venue prices compared to other areas of Spain and very easily and affordable flight access into the recently extended Malaga Costa de Sol airport. Scott explained that over the last 15 years both June and September have been typically the must busiest wedding months although the trend can vary from year to year. For example, July was the busiest month during 2016 and August for us in 2015. However, June this year has seen an unprecedented increase and the team enjoyed a total of 34 weddings in a 30 wedding period beginning from the 27th May. The weather was fantastic and all couples celebrated with out any issues of rain and poor weather. Scott added that the Sunshine team are always conscious of how well each guests should be protected from the sunshine and often the strength of the sun can be over looked. This is a key item within the planning as too much sun can be uncomfortable for many and spoil what would be an amazing wedding experience. The sunshine team has a rare break of weddings for a 12 day period as we enter August so I asked Scott if he would be taking a holiday? Whilst he said he would be taking a few days off at to enjoy several afternoons and sunsets at local Marbella beach restaurants there is still plenty of work required . This is also a popular time as many new bridal couples are visiting for their plans for weddings in 2018 and 2019. The sunshine team received their 50th booking for 2018 last week and they are looking forward to another great year with bridal couples. In the meantime, the focus is towards the remainder 42 weddings left for this Summer. We have a tremendous amount of responsibility over the next 12 weeks to ensure we plan and co ordinate the remaining weddings to perfection. Scott ended our chat by saying that be is happy to be enjoying some down time whilst temperatures soar and look forward to a lower heat to return to full off excited and enthusiasm.